Every year I run into bright students who end up leaving school students because they couldn’t afford the tuition anymore. Finances are a key component to retention. 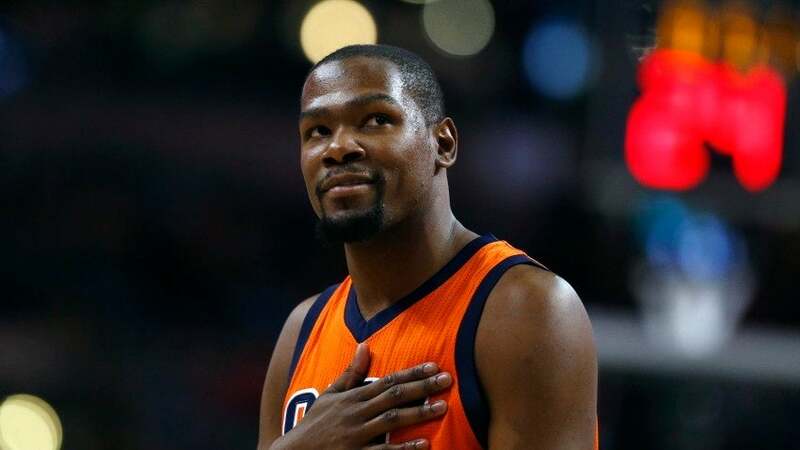 Kevin Durant is going to receive some of the most lucrative offers in NBA history. There are multiple factors to keeping or losing a star player. The right salary offer is a huge part of the decision making process. If money is a key aspect to the retention of your targets, a concerted effort must be made to assure that the price is right. That might include creating new scholarships with partnering businesses or something as simple as making sure the financial opportunities made aware to the audience. Are you inviting speakers onto campus? Financial expert Tonya Rapley came onto my campus and blew students away with some amazing money lessons. If she’s someone you bring to speak, you have to make sure that the targeted audience is in attendance. Finding money isn’t always easy, but sometime it’s as simple as recognition or creating a plan. The Thunder have been strategically planning for years and have made sacrifices including not resigning all star player James Harden, to assure they were being financially responsible. 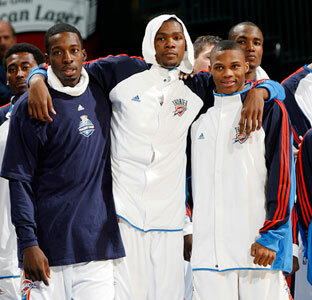 Durant along with teammate Russell Westbrook’s future were the priority. That time has come and they have the money. Put your money where your mouth is. There is always money around for students who are in need. There has been case after case in which an administrator or faculty member has found money for the ailing student through enrollment, financial aid, the president’s office etc. If your institution or enrollment office can create a specific retention fund, students will know specifically where to go. Create strict guidelines and include an application process. Not every student can be saved financially, but if you truly care about keeping them, then an openly recognizable fund shows that you’re willing to help. A recognizable sign of assistance is better than the search for a glimmer of hope. We’ve seen players leave teams simply because the general manager didn’t surround that star with the right complimentary pieces. As an institution just like the organization, one must know who the key players are. When it comes to students, it’s easy to reach the usual suspects. They’re already involved and are likely to graduate in 4 years. Those individuals can’t be the only target. You want to bring together a team that’s versatile. You’ve got to find out where the different students are. Get your scouting up! Go into the residence halls. Program at the particular cafeteria where your group is prone to hang out. Go everywhere! Surround your involved star students with unsuspected culprits who are ready to grow. In addition, our own students speak the language of their peers better than we can. The right squad will help. Leadership and involvement opportunities can come from anywhere. Build yourself a diverse team of young mentors, leaders and students that are driven for success. When it comes to retention squads, I’ve seen it all from peer mentors, to advisory boards made of administrators and faculty. Now these groups have worked to some degree depending on the institution. To add a bit more kick, develop yourself a street team, which is just another name for an “on the ground” marketing team. Gather together a group of successful students, who can communicate to your specific target demographic and are ready be loud and boisterous about the message. Supply them flyers, giveaways and that message. The best way to drill the importance of academic and social success and to stay in school is the be consistent and in your face. This moment isn’t about wooing, it’s about winning. “My responsibility is, How do I help him grow? How do I help him get better?” We can learn something from this quote by the Thunder General Manager, Sam Presti. As one of the key decision makers, he understands the importance of growth and development. Make the student’s needs a priority instead of creating surface level solutions and theatrics. The leaders and educators at the institutions have to mean business. Make the concerted effort to improve lives and not just fall in love with reaching stats. OKC made a coaching change, seeking new blood. What they were doing wasn’t getting them over the top. This new coach could potentially lead the team to a title which would likely keep Durant with them. As an institution find the right faculty and staff mentors. You will find certain professors and administrators who are already doing the work unofficially. Support their efforts. Give them resources and if you can, and provide some funding or extra pay, to do so. Your leaders could be anyone from the librarian to the administrative assistant. If they’re being successful reaching the specific groups, they’re in. THE GAMEPLAN: Create an actual coaching staff. When the Thunder made the switch, they found a coach who was a proven winner. Who are the proven winners on your campus? There are staff who have displayed success in reaching your retention targets. That person should be at the table when it comes to the planning and executing process. One great thing about a good coach is the ability to adjust on the fly. Find that person or people who are fluid and flexible with ideas and with the process. Build a tight team of professionals that have an interest in the retaining those specific types of students. Ideally, this group would be it’s own staff or department but likely, we’re talking about volunteering. With that said you’ll have to find people with some vested interest. Give them some time to create magic and if the right coaches are on board, simply wait for the results. THE GAMEPLAN: Get out there! C. Create an interaction schedule. Whether it’s you, one of your coaches, mentors or street team members, get out of your seat and interact. Pick specific times to eat in the cafeteria or walk through the popular study lounge. Attend an RA program, go to the next day mixer. Your face matters. We are in the business of helping students succeed. That comes from the countless meetings, the computer searches but most importantly the relationships fostered. None of these plans are perfect and will guarantee success. Kevin Durant might leave OKC regardless of hard they attempt to keep him. We also, as college admins know that we can’t keep them all. We can’t save everyone. One thing we can do is alter our plans of action. We can use what data tells us is supposed to work or we can use our creativity and positive relationships as an additional catalyst. If you truly want to keep the star free agent then the work must follow. I personally hope Kevin Durant comes to Knicks but that’s just being selfish. Well, talk about making an entrance…or exit. The latest episode of Game of Thrones had yet another epic Daenerys Targaryen moment. I won’t get into too many details with respect to spoilers but I would imagine this swings the pendulum back in the mother of dragon’s favor. Dani has been a favorite of mine from the beginning of the series and after last night’s episode, one can make the case that she has an effective style of leadership. In fact, we as professionals or student leaders can learn a thing or two. Welcome to the House Targaryen School of Leadership. Please leave your dragons and direwolves in the other room. A quick personal side note: I promise I don’t spend every Sunday night figuring out how each Game of Thrones episode can connect to Higher Ed and Student Affairs. It just…comes to me…by way of the old gods and the new. 1) Have patience, timing is everything: Daenerys’ rise to power was intentional. A good leader is one that makes well informed, strategic decisions. Almost every one of Dani’s decisions had thought put into it; whether it was her people (more on that later) or her own. If Daenerys was in higher education/student affairs she would also be able to effectively play “the game” in terms of politics. She has consistently been an expert at figuring out other people’s strengths and weaknesses and using that to compliment her own plan. And for the most part, Dani has also been able to pick and choose her battles wisely- another important part of being a strong leader. 2) Believe in yourself and your abilities: While Daenerys has a storied family; her path was not quite as glorious. As we remember, House Targaryen ruled over Westeros for quite some time until Robert Baratheon moved in. That left Daenerys and her brother Viserys exiled, and Dani was at the mercy of her older brother for quite some time. Most higher education professionals come from many different backgrounds and have many different skill sets. That is what makes our field so unique. As Daenerys began to learn the truth (hello mother of dragons) and saw in herself what others believed, she began to grow into the leader we see today. You cannot be a leader and expect people to believe in your vision without first recognizing your own abilities and self-worth. 3) Surround yourself with trustworthy and competent individuals: I truly believe that one of the biggest reasons why Dani has been successful is that she has a close group of advisors of whom she can depend on. For the past few seasons she has surrounded herself with folks like Daario Naharis, Jorah Mormont, Grey Worm and Missandaei who all possess specific skills. They all offer opinions that sometimes differ from her own, which often leads Dani to make the right moves. I also believe Daenerys has the ability to recognize other leaders and in doing so earns trust and loyalty. For us in the real world, that same strategy can make or break our success in the long term. Many professionals believe going at it alone is the key to being successful. Unfortunately, at some point you may need an ally or two. Having strong partnerships, building bridges and creating advocates will not only show that you know how to lead but also value others. 4) Take risks and believe in change: Out of all the possible challengers to the iron throne that Game of Thrones has introduced us to, it is fair to say that the breaker of chains has also taken the most risks. Let’s review: Daenerys stepped into a fire (multiple times), raised dragons (and flew on one), has conquered multiple cities (including setting the Dothraki leadership on fire), and has stood up to multiple individuals that could possibly have ended her. And, if you have relentlessly followed Game of Thrones from the beginning, Daenerys has come out on top in almost every possible situation. Obviously we all don’t have armies that serve at our pleasure to assist us as we go through our daily routines, but successful leaders are those that step out of comfort zones and go against the norm. I brand myself as a change agent and that has been one of the strongest pillars to my leadership profile. It is important to note that taking risks should come with a plan. Unless you are the unburnt, you may not want to leap into the proverbial fire without a well thought out risk management plan. 5) Perception is everything– Sometimes as leaders we find ourselves in the limelight. Our body language, how we speak and how we engage can set the tone for how we are perceived. That old cliché about first impressions does come into play and second chances aren’t always a given. Even when Daenerys is in a tough spot (her season 6 storyline for instance), she still carries herself as Queen. I like to think of her as having a big heart but carrying a large stick. Dani has successfully convinced armies to believe in her vision and quite often it is because of her actions. She cares, yet is stern. And as I touched upon earlier, even if she believes her opinion or decision is right she still allows her team to give input. Think about your daily tasks, and what you need to do in your respective positions to lead and be successful. Think about how much more difficult that would be if your colleagues and even your students thought you were unfit. Always put your best forward. 6) Be willing to learn- As leaders we make mistakes- it’s the simple truth. What separates the good leaders from the bad ones is what we take from those mistakes. Do we grow? Do we want to assess why the mistake was made? As we have watched Dani grow into a Queen, she has made her fair share of initial mistakes (think chaining her dragons or killing previous slave Mossador as a show of strength in season 5). She also chose to do away with a very important part of Slaver’s Bay culture- the fighting pits. All of these decisions lead to altercations that made Dani’s ability to rule more complicated. In the end, she has managed through these situations because of her ability to take a step back, observe the situation, listen to her colleagues for advice and learn. Another quick personal side note: How cool would it be for dragon to fly down and scoop you up from a meeting you don’t want to be in? Now that’s all you will think about next time you are stuck. You’re welcome. Whether or not you follow baseball, I am sure your Twitter, Instagram, Facebook and/or Vine’s feed featured Jose Bautista (Toronto Blue Jays) taking a punch to the face after sliding hard to second base against the Texas Rangers. Now, that description does not due to it justice without talking about some of the history. In last year’s playoffs after hitting a game winning home run Bautista flipped his bat and watched as the ball took flight to right field. Showing any sort of arrogance or emotion after hitting a home run is a “no-no” in baseball. Grown men are sensitive too apparently. Since then, there has been a strong animosity between these two teams. So you can imagine, how upset the Rangers were when Bautista slid late and hard, in an attempt to take out the 2nd basemen’s legs. Bautista was wrong, yes. 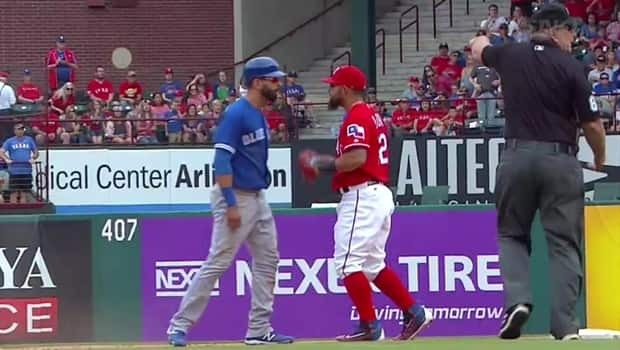 But things escalated rather quickly when the 2nd baseman Rougned Odor took a swing at Bautista, which mirrored the same punch that Canelo Alvarez took to Amir Khan’s face the previous week on HBO Boxing that knocked him out. I am not a big fan of violence especially not over a game where grown folks are playing. With that being said, it is important to learn how to react and disagree professionally with coworkers, student government members and superiors alike. If you come from the school of anger and disagreement being best expressed by yelling and indignation, it’s time to check that at the door when being a student leader and professional. In baseball, it is common for umpires and coaches to be in each other’s face screaming about a call they believe to be wrong. In the work place and as a student leader, it is best to pull that person aside and keep your cool when trying to offer your perspective. If you are in a position of power, you do not want to yell at a member of your organization or employee in front of everyone. It makes people defensive and not open to feedback. Pick a place that is most comfortable and enclosed so that the conversation is between just the two of you. Sometimes we just have to remember that there are people in place to decide consequences to problems. You don’t have to try to take on the battle on your own. For example, the Bautista slide to 2nd was illegal according to the MLB’s new rule. The umpires would have thrown him out of the game and he may have likely faced a fine. Odor, in this case, took matters into his own hands (literally) and got thrown out of the game when he had no fault to begin with. He will probably get suspended and fined. As a student leader, seek out your supervisor, president of the club or advisor who can help to provide perspective on the matter and help with the situation. Sometimes, simply reporting behavior can make for an easier resolution. You don’t want to react and hurt your team when they need you most. Calling someone names or insulting them is certainly not a good way to have someone listen to you. The moment you use words like “You don’t do your job” or “You’re an idiot” makes whatever you were suddenly arguing about no longer relevant. It becomes personal. We don’t exactly know what Bautista said to Odor and vice versa after the slide but I am sure it was not pleasant. You may have to lower your ego, even when someone has done something wrong and communicate how you feel rather than throw a punch. It is so much easier to get physical or even make fun, but it is not a productive way to solve the problem. Sometimes taking some time to walk away and re-visit may be a better option than trying to react while angry. Bottom Line: Getting physical and violent will never get you anywhere in student leadership and in your professional work space. It can get you fired, kicked out of school and in trouble with the law. You do not want people that work with you to be afraid that you’ll hook off on them. Sometimes people are going to piss you off and challenge you. It is up to you to determine what happens next. Take a deep breath and be the better person in order to solve the issue at hand (not with your hands). Don’t let the staff meeting get to this. The Social Change Model of Leadership Development has been around through different variations since about 1994. It has been used by multiple universities, leadership conferences and more. A key aspect of the model is to understand that leadership is a process; which brings me to Lemonade. Beyonce’s visual album is precisely that a process. There are a range of emotions and artistic components throughout which allow for for unconventional ideas just as the social change model seeks to provide guidance for leaders who may not fit traditional roles but do seek positive change. The model is made up of 7 “C’s” which are considered critical values of leadership. This is not to suggest that Beyonce is a leader but I also want to make sure that we look at leadership from various lenses. If you find yourself having to ever dissect, learn or teach the social change model, Lemonade is here for you. her intuitiveness to serve as a guide in defining who she is, what she represents and what she’s going through. What better way find yourself then to trust yourself. The tone of the album is set and we feel the attitude and sentiment throughout. When you can develop such consciousness, it will help greatly towards understanding and working with others. Congruence is important because it shows that you are being consistent about the values and things you believe in. Throughout her career Beyoncé has made songs with messages of empowering both young girls and women. With her previous album she was more pointed by including a more direct message with affirming feminist principles. Beyoncé took her #blackgirlmagic to a new space with Lemonade. She continues to let to world know that she is a strong black woman. When we all thought hot sauce in her bag was a condiment it was revealed that Hot Sauce is a baseball bat; a bat ready for some smashing. This “C” touches on people who are consistent with their beliefs and convictions. There have been many messages that come from Beyoncé but girl power has been one, like this “C” states that’s always been present. Through the images and lyrics she evolves a conversation that’s been going on, while remaining congruent. Having a significant investment in an idea or person for any type of duration shows a certain level of commitment. Anyone can be a one hit wonder. You can easily attend one meeting or program. To sustain the message for a period of time, shows that you care. I won’t sit here and call Beyonce an activist. I will say though, that she’s made some messages about police brutality, starting with imagery in the video for Formation. She followed that up with a Super Bowl performance filled with dancers alluding to the Black Panthers. Which brings us to appearances made by the mothers of Oscar Grant, Trayvon Martin, Eric Garner and Michael Brown. Including these women, these mothers of a new civil rights movement during the song Freedom is a statement. It’s a sign that there is commitment to keeping their sons’ memories alive and a representation of the strength possessed by these women. By no means is Beyoncé’s Lemonade a solo project. Like almost every album there are multiple writers, producers and musicians that make an album magic. The visual album particularly brings to light two amazing artists from genres other than music. Warshan Shire’s poetry is powerfully laced throughout the vocals. Khalil Joseph is an award winning filmmaker who was behind much of the direction of Lemonade. You have to be able to work with people different than yourselves to reach the highest level excellence. They provide outlooks that you might not ever seen. One of the biggest aspects of this component is involving others in the group vision. Can you bring others together to help in defining the the vision? Beyonce does this with some important cameos. As discussed earlier, Lemonade was provided an artistic voice for and about Black womanhood. The other black women featured included the likes of superstar tennis champion, Serena Williams dancing and Civil Rights activist and Chef, 93 year old Leah Chase. Two young women who’ve been vocal about their blackness on social media, Zendaya and Amanda Sternberg both made appearances. The youthful and Oscar nominated, Quenvenzhane Wallis was in the video holding Blue Ivy’s hand. Winnie Harlow, a model with a rare vitaligo condition and Ava Clark a child model born with albinism were also present. Beyonce brought together black women from all walks of life. All ages and generations were present. Different shades of black, hair textures, sizes and shapes saw time in Lemonade. It is essential as a leader to collect other voices that aren’t exactly like yours to display unity. Beyoncé as an artist has rarely made any statements or commentary to ruffle up feathers or speak on behalf of a specific community and their issues. Lemonade’s first single Formation started the dialogue on addressing the community. Citizenship discusses being responsibly connected to the community and society through leadership. Formation took that step. Beyoncé spoke up musically; From the multitude of images alluding to police brutality and struggles of New Orleans since Katrina to her message sending performance at the Super Bowl. As a one of the biggest pop artists in the world her visuals and the conversation to follow helped shed even more national light on the welfare and concerns of the effected group. This C is about the rights and voices of others. Lemonade does that same thing with commentary on women’s empowerment, relationships and more. It wasn’t speaking to everyone but particular groups were certainly targeted and listening. Don’t be afraid to use your strength and specific skill set to reach the masses. If you aren’t the greatest orator but are an amazing chef; cook your way to leadership. all night long was the closing message. You won’t always be be best friends with those you work with. Not everyone will be rooting for your success. Don’t be afraid to embrace these negative times. Embrace them, addresses them and move forward. The alternative 8th “C” is change. I wrote this piece and we work hard at Trill or Not Trill to continue to change the norms and the characteristics associated to student leadership and development. The more transformative ideas we attempt to investigate and the more visionary educators who continue to push envelope will only make our society a better place. Where else could you see Lemonade intersecting with The Social Change Model? Oh yeah. One more thing. Does anyone have an extra ticket to the Formation Tour? Ladies and gentlemen of the realm…raise thy hands if they are fans of Game of Thrones. Over 10 million people tuned in to see the first episode of season 6. I was introduced to the show back in Season 2 and quickly became hopelessly addicted. Orientation is coming (see what I did there), and in honor of our new GoT season I bid thee to read on and feel free to use these game of thrones inspired ice breakers. One caveat: Some may require explaining and more knowledge of the TV show than others. This is a simple introduction ice breaker and a twist on the usual circle of name and interest introductions. Have everyone stand in a circle and introduce themselves as if they were introducing themselves in Westeros. Format: I am [first name] of house [last name], queen or king of [insert hometown]. 2) Create your own house sigil. You’ll need papers, scissors, markers/crayons and any other arts & craft supplies you may want to give. This ice breaker is great for groups with some extended time. Every family in the Game of Thrones universe has a house sigil that represents their culture/theme (think dyre wolf for the Starks or Lions for the Lannisters). Have your students create their own sigil based off of what’s important to them or their family. Have everyone share afterwards. Everyone in Westereos wants the Iron Throne. Go around in circles and have everyone talk about their passion in life and why it is important to the person that they are or who they want to become. Where would their throne be located and why? 4) Across the Narrow Sea. Many of the Game of Thrones characters have been on series-long adventures (All of the Starks, Danerys, etc.). Different places have taught them life lessons and left impact on them. Have students volunteer to speak about the places they have traveled (near or far), their means of travel (i.e. Dragon) and how it impacted them. Students may find common interests or places they have traveled! 5) Keeping up with the Starks. GoT KNOWLEDGE: MODERATE- WILL REQUIRE BACKSTORY. This ice breaker is a twist on the matching game. Print out pictures of each member of the Stark family (both dead and living) and then print out pages of the scenarios of which they are currently in (for those who died- list the way they were killed). Split the group into teams and have them pair the Stark up with their current situation. Bonus: Depending on time and need of conversation- you may also want to relate situations the Starks currently find themselves in based on the decisions they made and connect that to the decisions we make in everyday life. You can also use this to help OLs find their summer partners! Tyrion Lannister has always seemed to be set up to fail from the beginning. Instead, Tyrion continues to overcome and tries to make the best of his situations. Ask students to volunteer to talk about a time in their life that they had to overcome a challenge and what was learned from it. What is their Tyrion moment? This playlist came from people giving us their Top 40 songs to get them through the Student Affairs Day! Bump these at the desk after that long judicial. After the meeting that could have been an email is over get back to your desk and listen away! We asked and you provided. 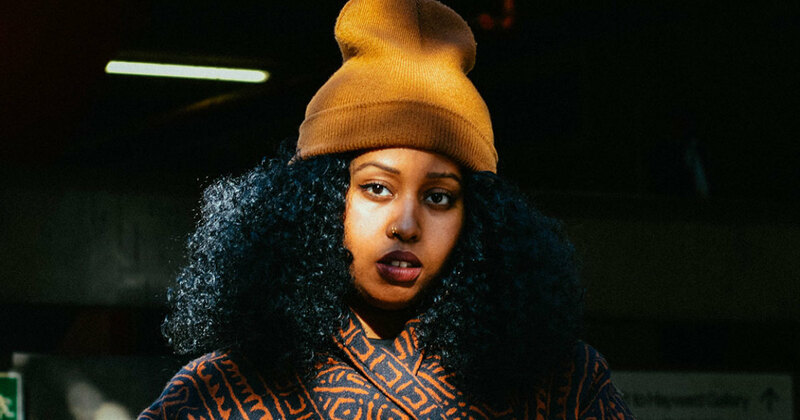 Based on the answers provided by our good friends on the #BLKSAP and Student Affairs Professional Groups, Trill or Not Trill has comprised a comprehensive Hip Hop Spotify playlist for your listening pleasure. This is the Hip Hop list that’ll get through those long student affairs days! If you’ve got a song to add, let us know in the comment section and we will add away! Happy Listening!